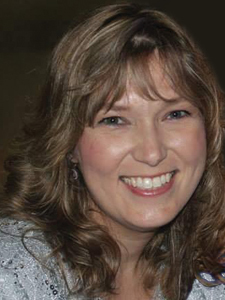 Teresa Sebring has been a member of the MCAA team since 1997. Her career in the Association Management industry began as the Administrative Assistant to the President. Over the years her responsibilities increased to include program and membership development. She is responsible for operations of MCAA including: communications, program and staff oversight, marketing and meeting/event planning. She also contributes her talents to membership development, retention, and strategic planning. In August 2016, Mrs. Sebring was appointed to the role of Association President by the Board of Directors. Teresa holds a BA in Business Management from Christopher Newport University and is a lifetime member of the Gamma Phi Beta Sorority. Andrea is the Director of Member Resources and joined MCAA in July 2013. She oversees the benchmarking programs offered to MCAA members. She also manages MCAA’s eUniversity which hosts Technology and Industry & Application training. Andrea is also responsible for the Career Center and acts as a liaison with our partners including UPS, Boxwood Technologies, US Learning and D&B Hoovers. She holds a degree in Governmental Administration with a Public Management concentration from Christopher Newport University. Prior to beginning her career in the Association Management industry, Andrea spent 12 years in local government land use planning. Elizabeth is the Programs Manager and has been with the MCAA Team since 2016. She is responsible for preparing monthly and quarterly bookings reports, the annual Compensation Report and the annual Operating Benchmarks Report. She also manages the process for Customer Satisfaction and Specialty Benchmarks. In addition she enrolls students in the Association’s Sales eUniversity training modules. Prior to joining this phenomenal MCAA team, Elizabeth worked in the Banking Industry for 20 years and was most proud of her recognition for her client retention rate. Kim joined the MCAA team in August of 2015 as Marketing Communications Manager. She is responsible for the design and implementation of all digital and printed marketing collateral for the Association. Kim also maintains the MCAA website and manages branding for all aspects of social media and any necessary content in which MCAA is represented. Her graphic design career includes 20 years with Shorewood Packaging, a Business of International Paper and her own freelance design company. Kim holds a BS degree in Business Administration with a Marketing Communications concentration from Christopher Newport University. Rebecca joined the staff of MCAA in August of 2014. As Administrative Manager, she oversees multiple areas for the Association including: accounts payable/receivable, employee benefits, events registration, new member registration, payroll, and shipping.